Hubbell-Wiring Twist-Lock® Single locking receptacle in black color, has a unique design with high impact and abuse-resistant black nylon cover and nylon polyester base construction for long-life durability. 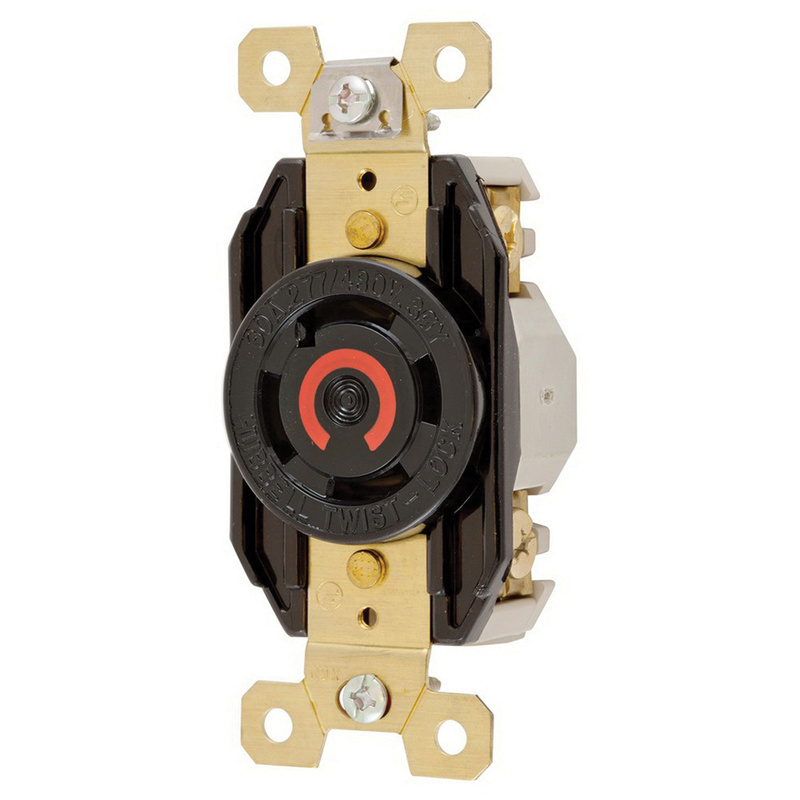 This 4-Pole, 4-Wire receptacle features 0.05-Inch brass strap and 0.04-Inch brass contacts for lasting retention. It operates at a voltage rating of 277/480-Volts AC, current rating of 30-Amps, temperature rating of -40 to 75 deg C and dielectric strength of 2000-Volts. It has wire restraint recess for both back and side wiring, reduces the possibility of loosening the terminal connection. It supports maximum load capacity of 10 HP. The receptacle meets UL 498, Federal Specification W-C-596 and CSA C22.2 No.42 standards.